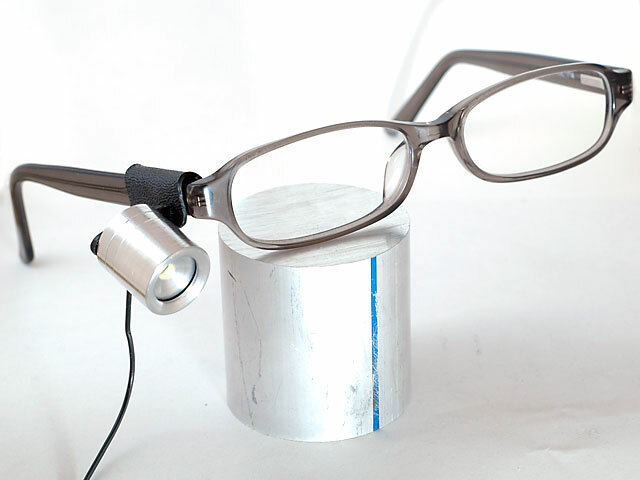 An elegant headlight was machined and assembled from scratch without the ugly headstrap. 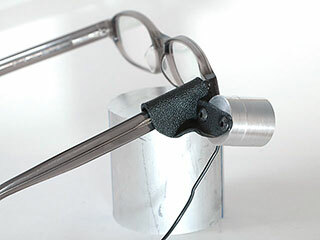 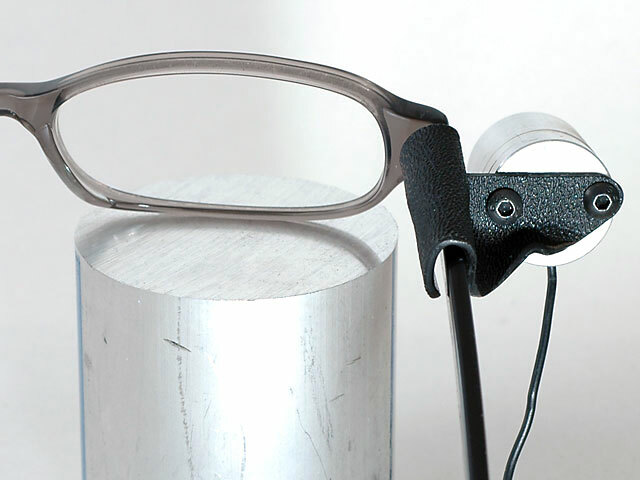 A holder for attaching the headlight to my glasses was formed using Kydex, the angle of view is fixed but set at an optimum during the forming. 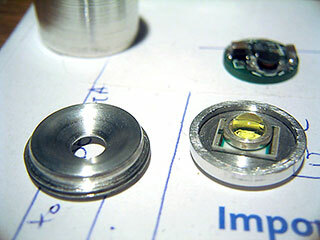 The rear of the headlight assembly is tapped for two socket cap screws used to fasten it to the Kydex holder. 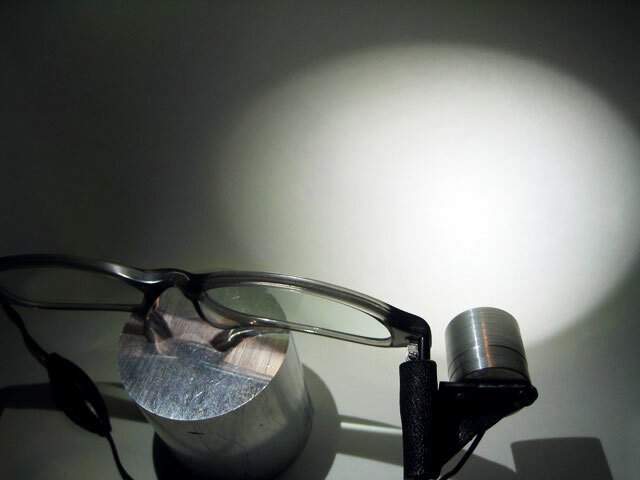 This headlight was designed to give a smooth beam distribution with no shadows or hotspots, providing an evenly lit and wide angle of view. 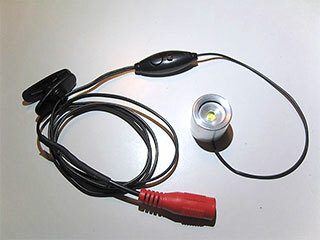 A Cree XR-E LED emitter was chosen for its high efficiency at 80 lumens/watt. Behind it is a current limiting driver circuit that controls the power going into the LED with a wide input voltage range of 3~16V, this allows a great deal of flexibility in battery options. 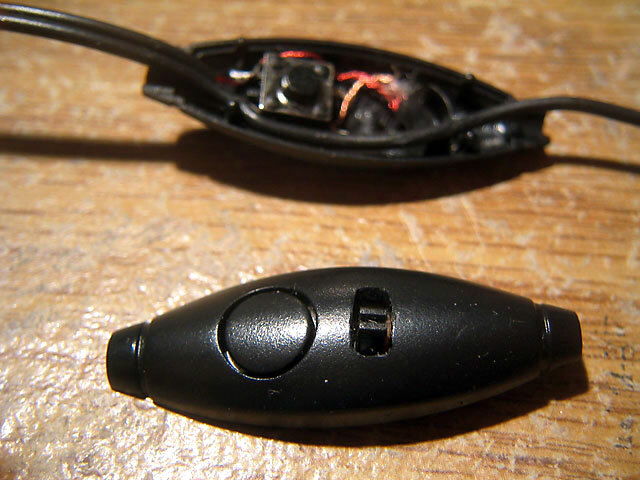 A mobile phone hands free headset has been adapted as the power cable with on/off switch, a DC connector has been fitted on the end so that different battery combinations can be used. The microphone in the hands free headset has been removed and a slide switch has been put in its place. An opening made in the casing allows for on/off action with the slide switch. 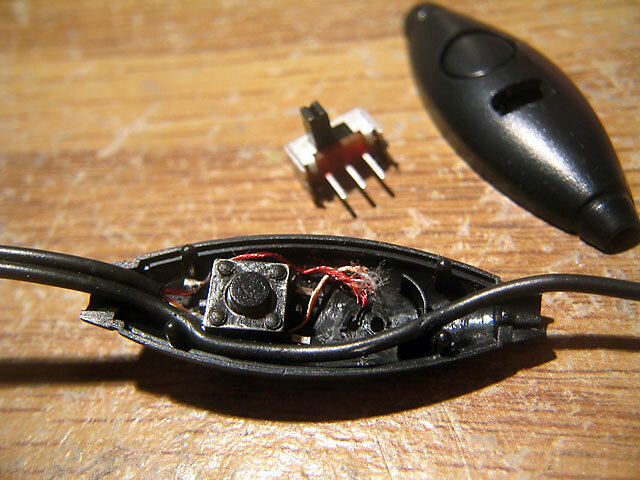 The original answer/end call button has been rewired for momentary on operation.